Valentine’s Day is approaching us, A day to spread love around the world. I always love to be remind that I am loved and appreciated, so I always like to sprinkle reminders to my family & friends. There is a million way to say “I Love You” but there is nothing sweeter than receiving a bouquet of flowers on Valentine’s Day or any special occasion. Tele flora offers the most beautiful bouquets for any special Holiday or Occasion. Teleflora arrangements are artistically arranged by a local florist using only the freshest flowers available, and are personally delivered. The flower arrangements are seriously stunning, a few weeks ago I got a sneak peek of their Valentine’s Day collect at the Teleflora Tea Time. Everything at the event was beautiful, the bouquets gave the room color and changed the atmosphere with its colors. My favorite bouquet from the Valentine’s Day collection is the Pair Of Hearts Bouquet its so beautiful and love how simple yet elegant it is. The red vase with the heart bracelet around it gives it a girly accent which if you know me you know I appreciate those details. Teleflora Tea Time had a special guest Hannah from The World Needs More Love Letters she had an idea to inspire strangers and spread love to the world by writing love letters. This had me super emotional because its something that I like to do with my family. I love letters for my husband and hide them for him to find,also love sticking love letters for my daughter in her lunchbox. This Valentine’s Day make sure to write a love letter for a loved one. 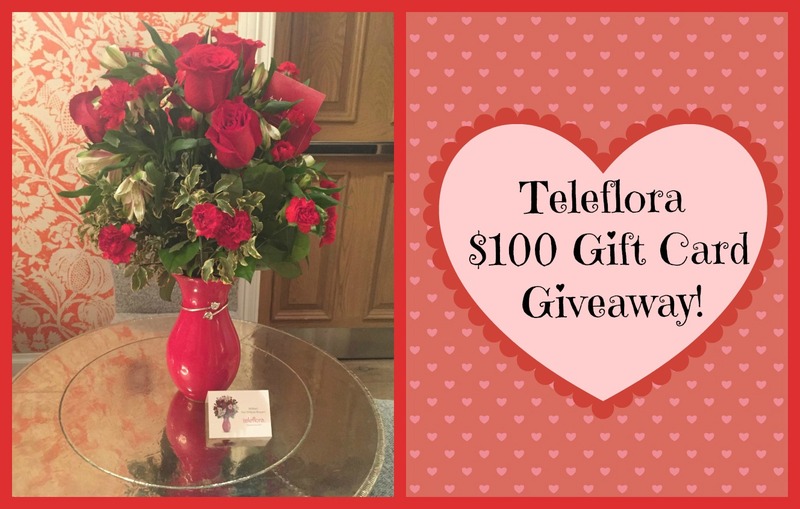 In celebration of Valentine’s Day we will be giving away for a $100 Teleflora Gift Card to one lucky reader.